There are a number of different note templates available if you should need them. 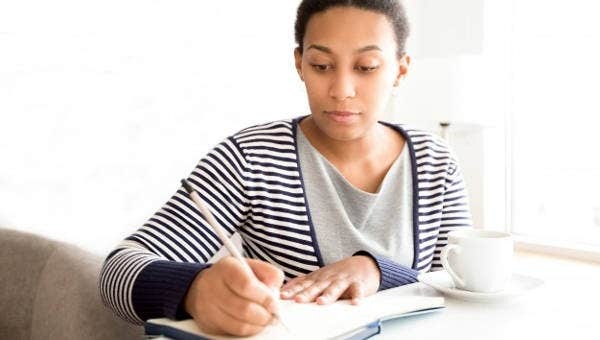 These can range from interview thank you notes to transfer notes so as to match any needs you may have. And like other templates, these transfer note templates may well be able to save you some time. Like other kinds of notes, like promissory notes, these notes definitely have official uses. With that in mind, the templates should be able to make your tasks all the more convenient as you have a shortcut for making the notes. In any case, templates like these can give you some much needed help. 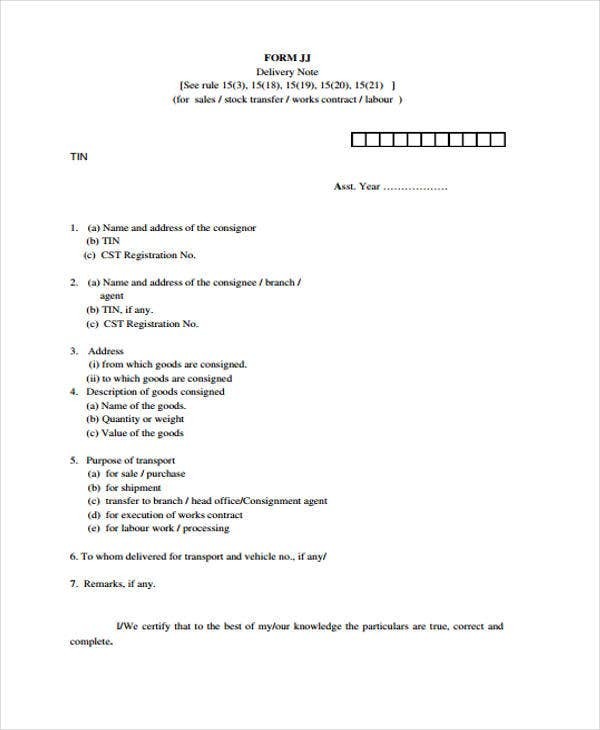 First, determine what it is you are transferring, such as goods or persons. 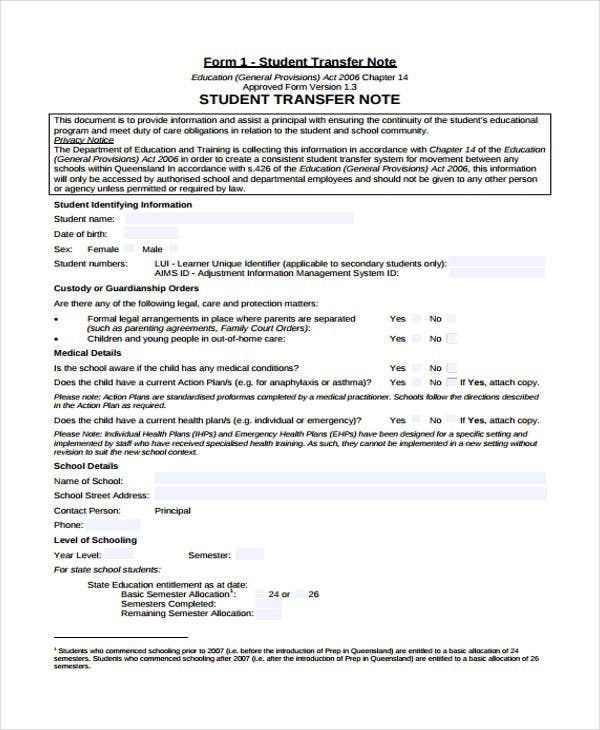 Whatever it is you are transferring, include a short description, such as information concerning the item, or medical information in case of a person. 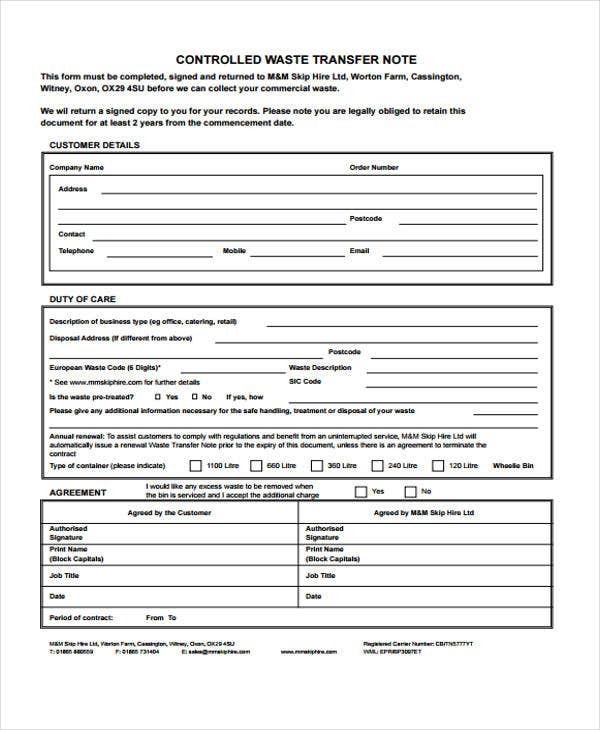 Include the address of the recipient, as well as the original holders or caretakers. Also include space for an authorized party to affix their signature, so as to authorize the transfer properly. 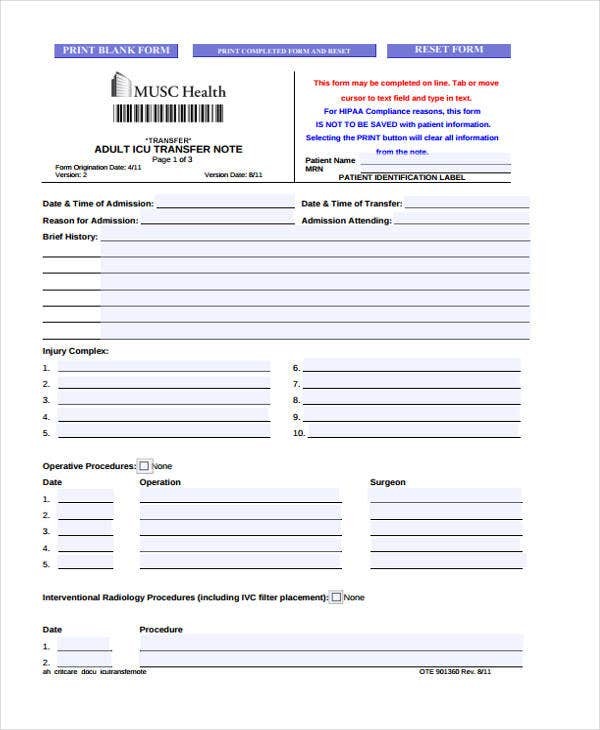 Who Can Use these Transfer Note Templates? 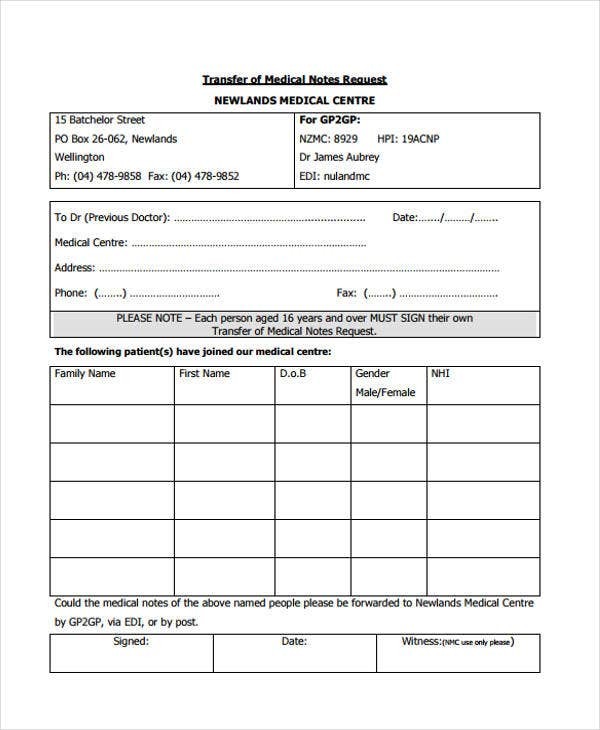 Medical personnel, who would need the templates to authorize transfers of patients if it becomes necessary. 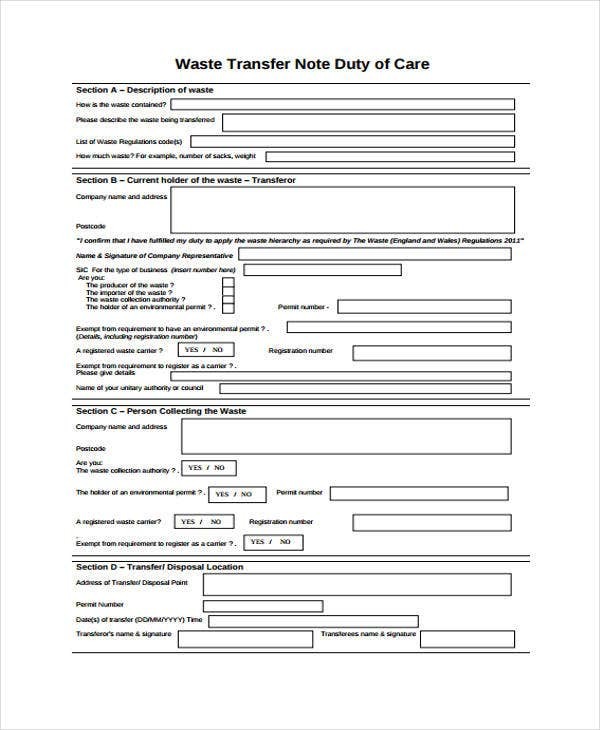 School officials, who, like physicians, are responsible for carefully authorizing a student’s transferal, especially with regard to health. 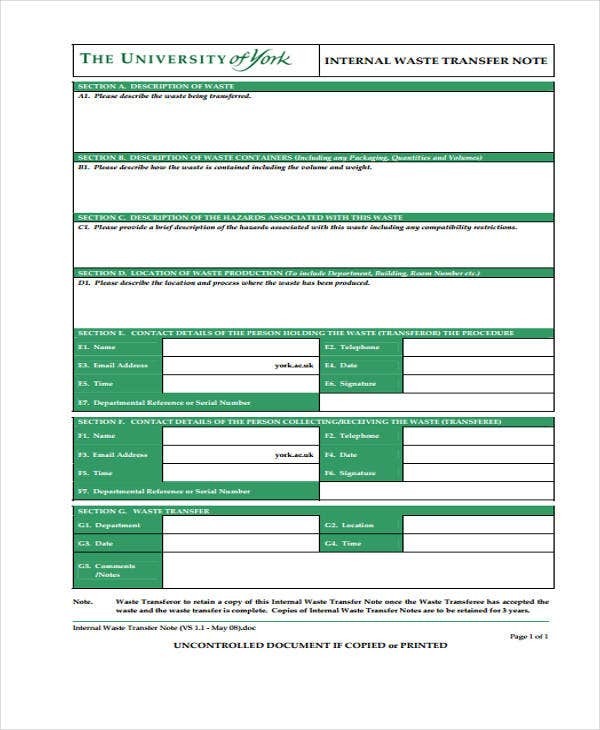 Delivery services, who could use these templates to make their own notes for authenticating any deliveries to consignees. Waste management personnel, who would need authentication for whenever they need to have any such waste transferred into their care. Never forget to include signatures. 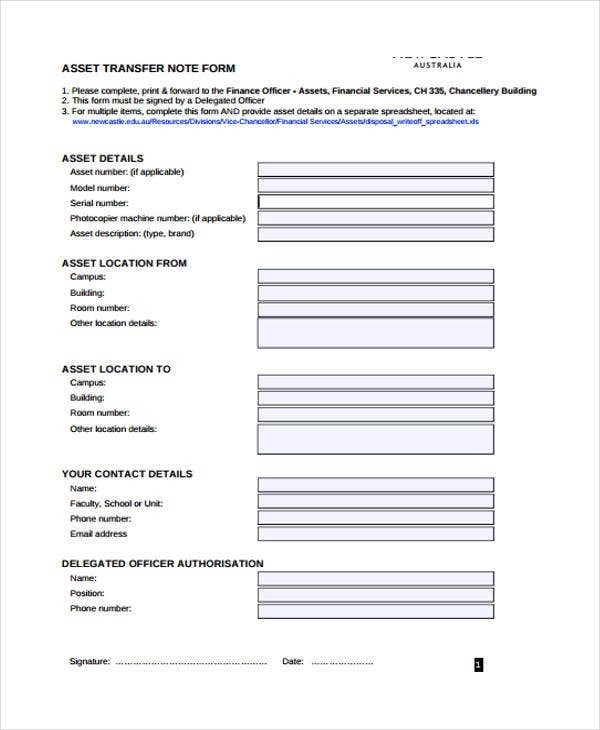 You will need these in order to authenticate the documents proper, so the importance of the signatures should speak for themselves. Always use the most appropriate template. Since there are so many, that simply means that you can generally take your pick. In that case, you should make sure that you choose a template that complies with what you need at the time. Include all the relevant details. This can be important in the case of medical transfers. In those cases, it would be wise to include details of medical conditions so that the recipients can be prepared to take care of the patient. Include an identification number, if applicable. Some templates can include such numbers for the sake of record-keeping, hence why the number is so important. You may also elect to use some of the other templates available on this page, in case you should need them for your work instead.